From timeless and sophisticated to edgy and cool, Happen offers a wide range of entertainment services to make your celebration a memorable one. 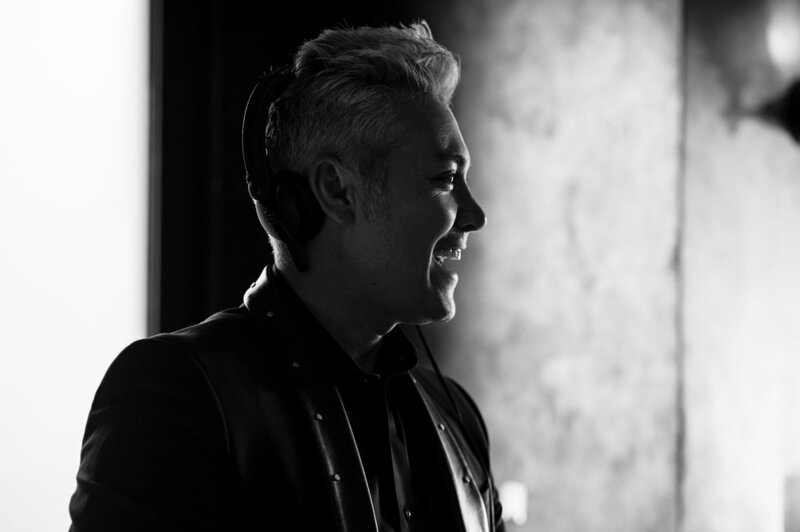 Herick has been a DJ since the ’80s, working in renowned nightclubs, concert halls, and appearing at a variety of high-profile raves and hot spots in Los Angeles and Las Vegas. Starting from a young age, he always loved music and was drawn to a variety of genres, which led Herick to become a DJ from his high school years well into his 30s. As he started a family and the DJ/musical industry began to change, he evolved as well and soon started to DJ/MC corporate events and weddings. Herick is highly skilled, extremely personable, energetic, and truly wants to see revelers on the dance floor having a great time. Good sound is important for any event. Your guests will want to clearly hear wedding toasts, corporate speakers, and of course, music. If they can’t hear well, they will miss out on special moments or become annoyed at having to strain to figure out what’s happening on stage. We offer microphone and speaker packages, large-venue sound packages accommodating 300-2,000 people, and an array of sound needs for concerts, bands, and live performers. Our Happen Booth is one of our most popular offerings. We will customize the backdrop to match your theme and completely personalize a template. We also provide a wide array of props as well as customized larger props, such as this onewe did for the Toyota Grand Prix of Long Beach. We love nothing more than to leave your guests in awe with added unexpected wow factors. From snow machines to dry ice machines, even a rainfall of bubbles, we can help you think up wild ideas that are as tasteful as they are whimsical. Staging doesn’t have to be a typical rectangular raised platform. We offer special sizing and shapes and will cater to your specific needs. We offer a wide range of lighting devices, and most of it is very specific to the needs of our clients. Let us know what you’re thinking of – pictures always help to illustrate the look you are trying to achieve. Our most in-demand requests are: pinspot lighting for centerpieces, uplighting for room ambience, names or logo projection, club/dance floor lighting, neon sticks, and stage lighting. We can build custom lettering, furniture, bar setups, etc. We pair these custom items with our lighting to craft an incredible setting for you and your guests. Some of our customers’ favorites are wooden or metal signage and vinyl decals to provide a personal touch to every element. We currently offer a 21X21 white dance floor; it’s glossy, clean appearance makes any space look polished. The bright white color is ideal for custom vinyl wording or creative lighting displaying your monogram, names, or highlighting a company logo, etc. For red-carpet events, we can create a completely unique step-and-repeat in addition to providing a carpet of your color choice and length. We print and install the fabric step-and-repeat and also have media-ready lighting for photographers available. Lately, we’ve been having fun with red-carpet events. For business meetings, after-parties, or even a sweet wedding photomontage, we have various LED screens and LED televisions available to match your needs and budget.